You haven't seen a Radiomir like this before. 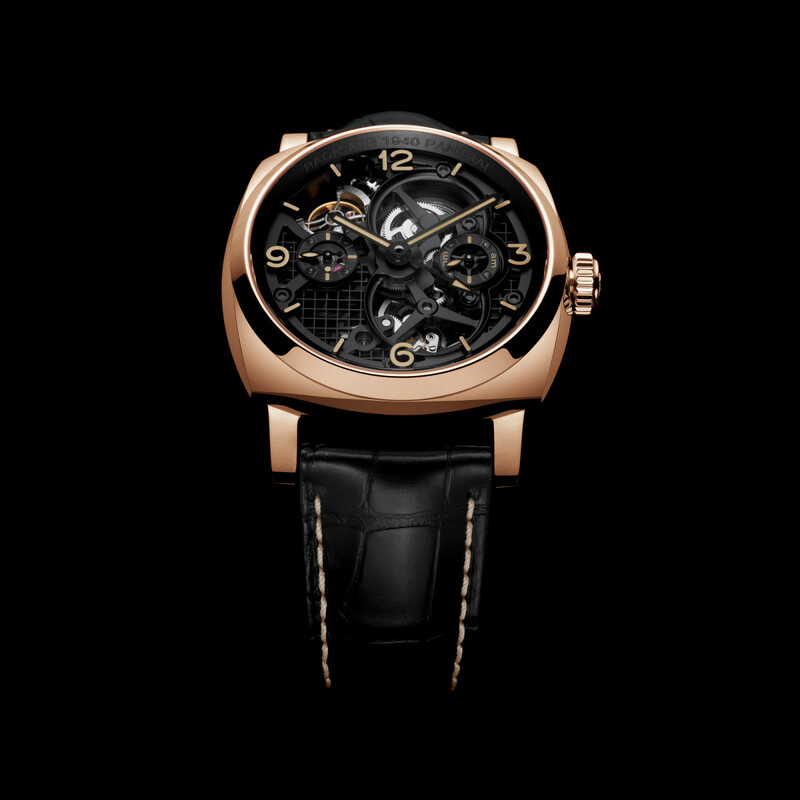 First off, lets just sit and admire the stunning beauty that is the Lo Scenziato Radiomir 1940 Tourbillon GMT. 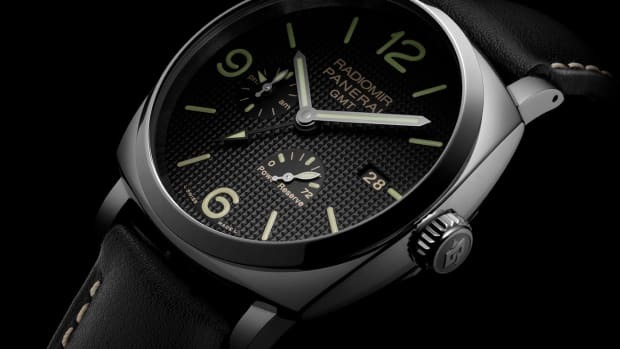 This gold and black horological masterpiece is one of the many announcements from Panerai&apos;s WATCHES&WONDERS15 novelties and it&apos;s also one of the grandest expressions of the Radiomir design. Limited to 30 pieces, the watch is a tribute to to scientist, Galileo Galilei, who played a critical role in the history of timekeeping. 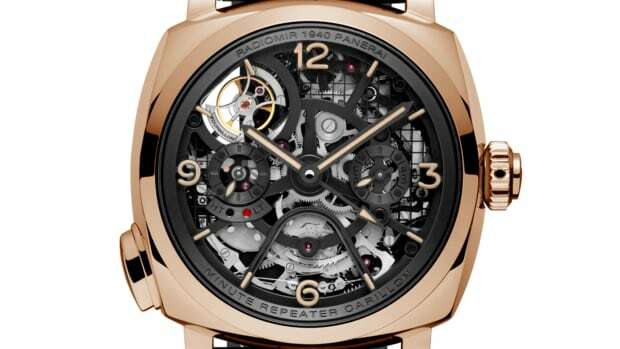 The big 48mm case is crafted from red gold which offers a striking contrast against the black skeletonized dial. 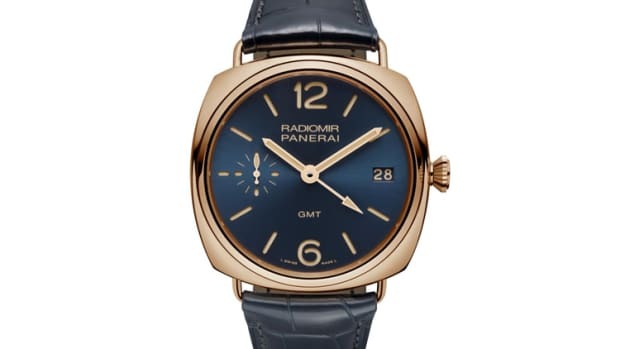 The movement is a hand-wound in-house caliber consisting of 277 components and features hour, minute, small seconds, GMT, and 24 hour functions and a power reserve indicator on the back. 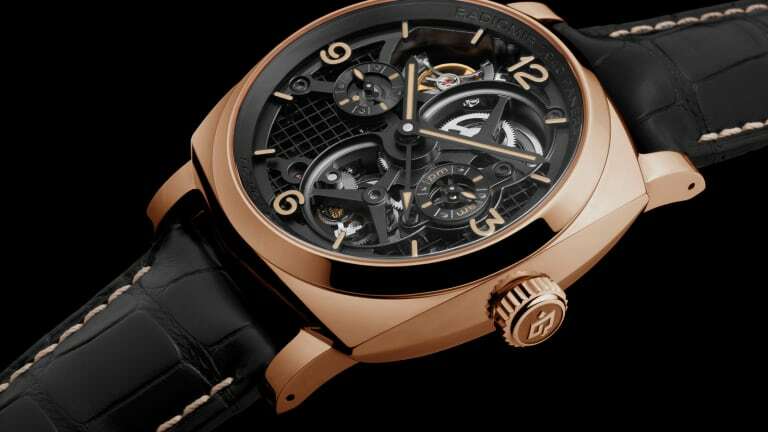 A 49mm watchmaking masterpiece in red gold. A strong new release for the traveling Paneristi.